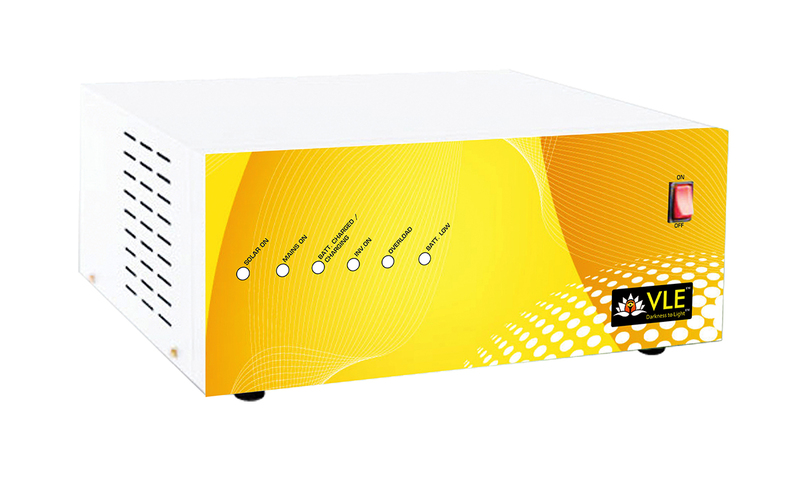 VLE’s Solar Home Inverters range in Size from 300 to 1000VA with Maximum Loads varying from 100 to 800W. The Solar Panels range from 100 to 1000W. All systems come with a 5 Year warranty on Battery & Solar Panel, 2 Year warranty on the Inverter and the Efficiency of the Electronics is greater than 85%. All units are fully protected from short circuits and Reversal of Battery, Solar Panel.